This training would be beneficial to entry-level supervisors and team leaders. Don Sheldon has global experience helping companies achieve world-class performance. His teaching style is hands-on and down to earth. This 9-hour course is designed to be delivered in 3 segments of 3 hours each. The course gives the attendees an advanced foundation of management skill learning. The course engages the attendees in analyzing and using thought leadership and application of these ideas within company applications. Several actual company examples will be used to help the attendees better understand the approach and attention required for good supervisory skills. The students will be provided with copies the slides used in the class. Call or email Tylena Daniels at 607-334-2201, ext. 128 or [email protected] for more information. 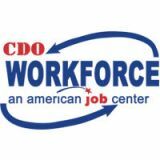 All attendees must be actively enrolled with CDO Workforce.